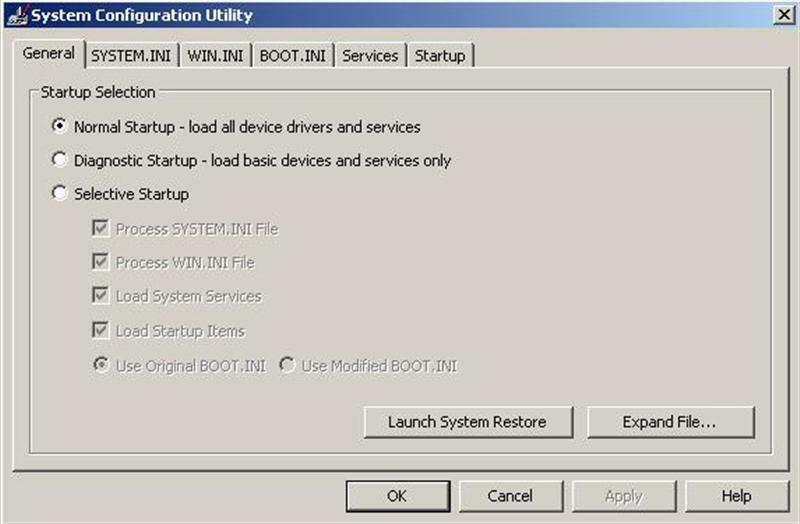 The System Configuration tool, otherwise known as msconfig, can help identify problems that keep Windows from starting correctly. The System Configuration tool can be accessed through the Run dialog by typing msconfig. The System Configuration troubleshooting tool can be launched if you have administrative rights. The General Tab is for selecting startup modes. The Diagnostic and Selective Startup can help to isolate startup issues. Use the Diagnostic mode to determine if there is a problem with Windows files or device drivers. If running in Diagnostic mode, and a problem occurs, look in Help and Support to find "Startup Repair". If a problem does not occur, run the Selective Startup mode. Selective Startup mode is used to turn individual startup programs and services on or off to help establish the cause of the problem. To run in Selective Startup mode, from the General tab, select Selective Startup mode and clear the Load Startup Items box. Check the Load System Services box Click ok and then Restart. Select the Services tab, and check Disable all. Then check the first service checkbox and restart the computer. If no problem occurs, the first service can be eliminated as a cause of the problem. Now select the second service, while keeping the first service selected. Restart the computer. If there is no problem, the second service can be eliminated as a cause and the process can be repeated until all services are eliminated or the cause of the problem has been found. If none of the system services can reproduce the problem, then select the Startup tab, and Disable all. Repeat the process in the above, step by step, to see if the problem can be reproduced. I am agree that troubleshooting a computer requires experience and skill. There are many reasons why a computer won't turn on. The only symptom is usually the simple fact that "nothing works" which isn't much to go on. 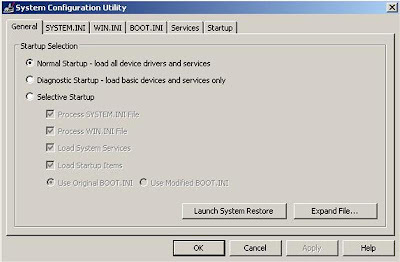 Try restarting the computer., many software problems often disappear after a reboot. Look at your cables and Check the power at the wall, thanks a lot.